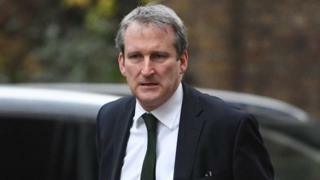 Damian Hinds has become the new Education Secretary, replacing Justine Greening. What are the questions waiting at the top of his in-tray? And what should he do differently to avoid the sudden exit of his predecessor? 1) How to get back the political initiative? Damian Hinds will have to re-energise the Conservatives’ vision for education, finding something positive that will connect with the public. From the perspective of 10 Downing Street, it must have seemed as though Labour was making much of the weather over schools and universities. Parents were worried about being asked to bail out cash-starved schools. And Jeremy Corbyn’s promise to scrap tuition fees had seen Labour’s student vote reaching record levels. Justine Greening seemed unenthusiastic about the prime minister’s Tory heartlands view of education, characterised by the push for more grammar schools. But, it is suggested, there was impatience in Downing Street about the lack of any clear alternative vision or policy offer for parents. There is a catch for Mr Hinds. His revival has to cost nothing and not take up legislative time consumed by Brexit. 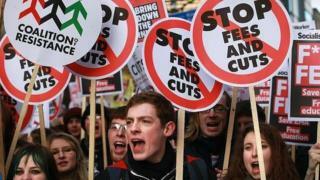 2) Can anyone end the pain of tuition fees? Theresa May has promised a major review of university funding and how much students should be expected to pay – as evidence that she was “listening” after the election. 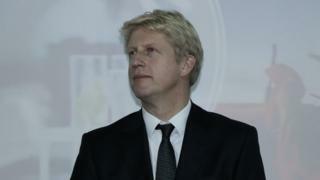 Jo Johnson, the outgoing Universities Minister, had made no secret of his reluctance for any significant changes. But his departure opens the way for a much more far-reaching review. The rising levels of fees, interest charges and student debt, have been like a recurrent political toothache, and Mr Hinds will be looking for an affordable way to neutralise the electoral pain. It’s been the mouse-trap hidden in the in-tray for ministers of successive governments. And he will have to see whether university bosses can really be more restrained over pay, after the chastening battles over “fat cat” salaries. 3) What will head teachers be demanding? School funding gaps and teacher shortages are among the issues that heads see as most urgent. They are exasperated that they have to keep juggling and struggling on with what they claim are inadequate budgets. In the election it became a significant doorstep issue, not least because head teachers discovered the power of sending a letter home to millions of parents. When it comes to plausibility, head teachers’ warnings of cuts to children’s lessons will always win out over politicians protesting that funding is at record levels. It’s a challenge that the new education secretary will have to resolve. Otherwise he risks cold water being poured over any other initiatives, as heads tell ministers to get back to the basics of funding and staffing. 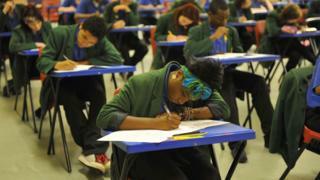 4) What does social mobility actually mean? Damian Hinds and Justine Greening have something in common. They both say social mobility is a priority, as has the prime minister. But what does it really mean? The government’s own social mobility commissioners walked out claiming so far it had been all talk and no progress. Mr Hinds has previously highlighted the importance of investing in the early years, before the social divide begins to widen. He has also pointed to the central importance of high-quality teachers to making sure that the disadvantaged get the best chances in school. It might seem an age ago, but before the election the focus of social mobility was on the need to help “ordinary working families”, working hard on low incomes and without access to good schools. Mr Hinds will have to decide how to make social mobility something more than rhetoric and good intentions. 5) How to balance tradition with reform? As a former grammar school boy from the north-west of England, with a Hampshire constituency, Mr Hinds will be seen as representing a less metropolitan view of education. He will be seen as closer to the views of Tory backbenchers, uncertain about the wholesale ditching of grammar schools. Mr Hinds will also be expected to push through a change to free school regulations, promised in the Conservative manifesto, which would make it easier for faith groups to set up new schools. This would allow religious free schools to give priority in admissions in the same way as existing local authority and academy faith schools. Such a change, likely to increase the number of faith schools, will be opposed by humanists and secular campaigners. But that could be the kind of opposition and clear blue water that would be relished by an education secretary wanting to assert his traditionalist credentials. Ministers have always been advised to pick their enemies as carefully as their friends – and Mr Hinds will also have noted that Ms Greening’s bridge-building with the teachers’ unions did her no political favours. And someone somewhere is going to write a headline about the benefit of “Hinds-sight”.